When you first arrive in Zurich make sure you get a blue disc (Parkscheibe) from your Gemeinde (Town Hall) or from the Post Office or a garage – they’re free! You can then use it to park in the “blue Zones”or blue parking areas all over Switzerland. You can park in the blue bays for free for a specific amount of time, usually 1 hour, depending on the time you arrive. You need to set the blue disc for the next half hour marker after you have arrived. For example if you arrive at 10.28 am you will need to set the disc for 10.30 and you can then stay parked in the bay till 11.30. If you arrive at 10.31 you should set the disc to 11.00 and you can stay in the bay till 12. The general rules are if you park Monday to Friday between 8:00 and 11:30 and between 13:30 and 18:00 you can park in the blue zones for one hour (or slightly more depending on the time you arrive – see above). However, if you arrive between 11:30 and 13:30, you can stay till 14:30. If you arrive between 18:00 and 8:00, you can park until 9:00. Check the sign by the parking bays on Sundays and public holidays as the parking restrictions only apply if the sign says so. You mustn’t extend the parking time simply by moving the disc forward but not the car! If you do need to park for longer you actually have to leave the parking bay and then park again – otherwise you may be in for a fine! 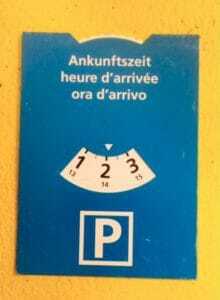 If you live in an area with blue parking bays you can apply to purchase an unrestricted parking permit (‘Parkkarte’) at www.parkkarten.ch. Parking in the white zone is also limited. The maximum duration is indicated by road markings and you need to pay at the closest meter. It always advisable to have small change available in the car for this reason. Some white bays are marked as “Besucher” bays for shops or apartments and you are entitled to park in these places if you are visiting those places. There are a wide range of multi-storey car parks around the centre of Zurich, do note however that these tend to fill up at peak times. For the locations of the best car parks with live updates on the amount of free spaces, please see here. All information was deemed to be correct at time of publishing. If you have any further questions about parking, particularly in your neighbourhood, it’s a good idea to talk to your Gemeinde office. 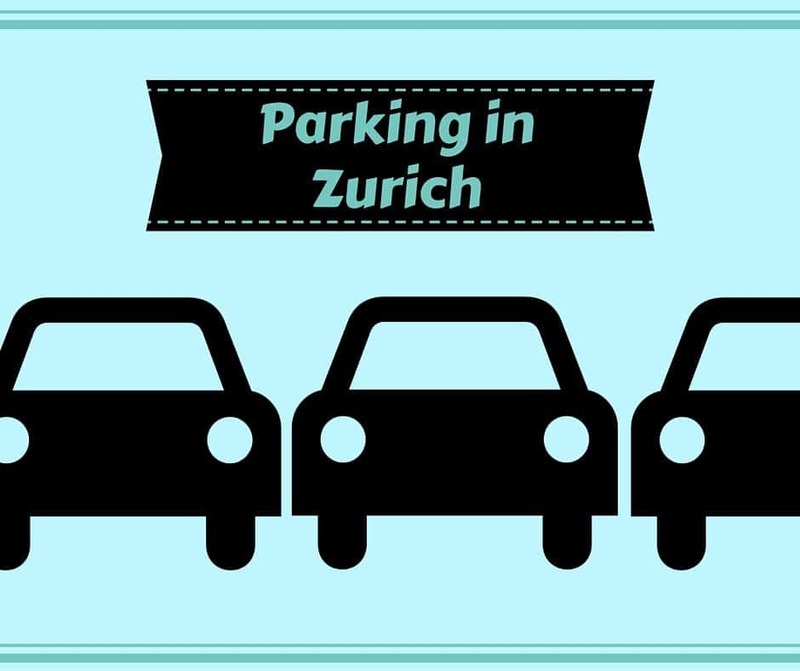 You may also be interested in Parku which is an app for finding available private car parking spaces in Zurich. Find out more about Parku by clicking here.